Camera: Olympus E-510 w/Olympus 70-300 lens. Here's the Napa Valley Wine Train at its northern terminus in St. Helena, where its engine is being switched for the return trip to Napa. Its November 2006 and the train is bedecked with holiday lights that make this a fun photo -- and makes me want to be living in an earlier age. Its great news to know that in October 2011 the train has survived a bad economy and is going strong. And still a wonderful subject for the wandering photographer and gourmet. It is a bitterly cold day in February 2005. Here's an outbound MBTA Commuter Rail train from North Station, Boston, to the end of the line in Fitchburg, arriving in the Littleton/495 station. A real winter scene. The situation on the Boston area commuter rail system is not quite so bleak as it was back in 2005. Trains such as this, which were filthy, have been more or less cleaned up, and the Fitchburg line is getting new track and serious attention. There will relatively soon be a major expansion of service on the Worcester line, and trains are now running from Boston to T.F. Green airport in Providence. Plans are underfoot to expand South Station, which will benefit Amtrak, and, of course, there is now wi fi on many trains. There is still a long way to go to make this a truly modern system, with convenient ways to pay for parking (coming they say) and monitors at stations to report on delays. There are many improvements in other commuter systems around the country, though many are being forced to reduce some services in the face of recession. 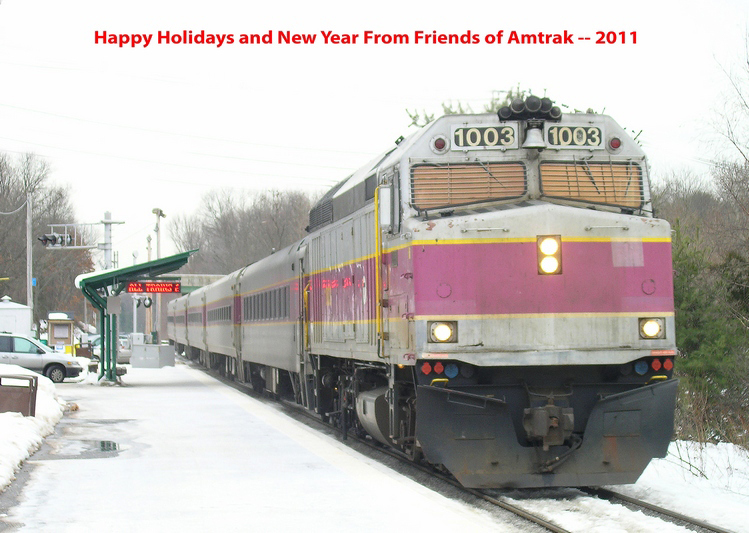 Amtrak is faring less well due to excessive bean counting, ideological pandering to the auto and oil industries, proposals to end all federal subsidies to state services, and Congressional gridlock, but it can probably be argued that as we enter 2012 the cup is half full. 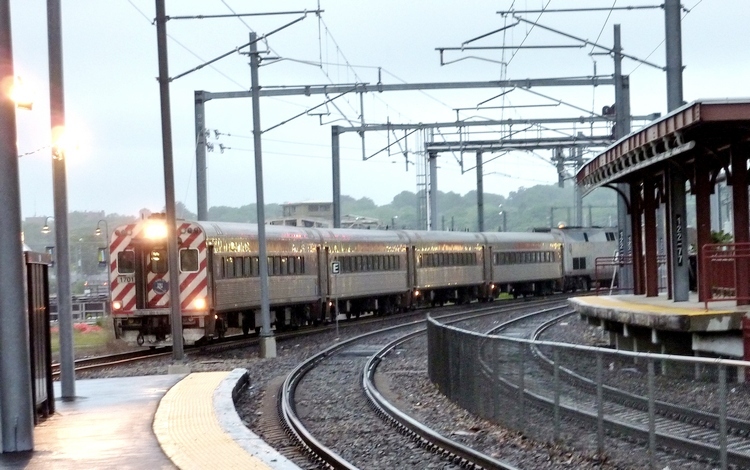 Its a rather rainy and dull evening in mid-July 2011 as a Shoreline East commuter run arrives at its terminus in New London, Ct., on a run from New Haven. 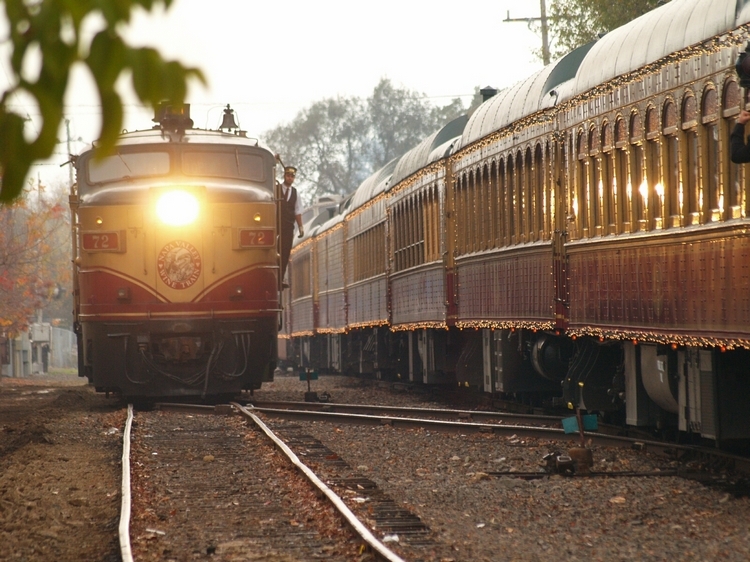 It is one reason why New London remains one of the best places in the country to watch and photograph trains. It is home to Acelas (which do not stop) and a pretty busy fleet of Amtrak Regional trains on the corridor from Boston to Washington. For day visitors there are plenty of places to park for free, and wonderful views to be had from the recently refurbished state pier. Just don't aim your camera at the nearby sub base or repair facility! Changes last made on: February 10, 2012.